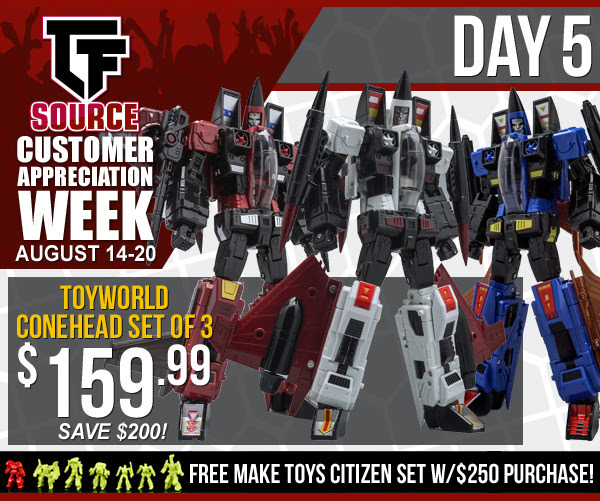 TFSource Customer Appreciation Week – Day 5! ToyWorld Conehead Set of 3 $159.99! You SAVE $200! All Daily Sales are Back! Giveaway Finale! daily sales for the entire weekend! 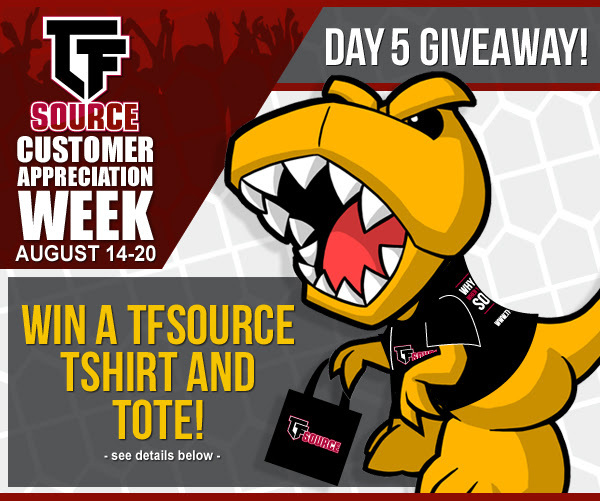 Win a TFSource Shirt & Tote! Like the Giveaway Finale Post on either Facebook, Instagram or Twitter. Then use the hashtag #TFSOURCECAW on Facebook, Instagram or Twitter to share a picture of your collection or most recent TFSource.com purchase. 10 winners will be randomly chosen. Giveaway ends on 8/19 at 7am pst.